Semi permanent make up will enhance your natural beauty and give your features shape and definition without ever having to visit your make up bag. Also known as micro pigmentation, it is the term used for applying coloured pigments into the dermal layer of the skin. The procedure is completely safe and effective and is used for a variety of semi permanent cosmetic enhancements such as eyebrows, eyeliner and lips. Woman of all ages are experiencing the difference semi permanent make up can bring. After just one procedure you can have stunning smudge free make up that will last for several years. Anyone who requires emphasis of the brows will love this procedure and the time saved never having to pencil again. 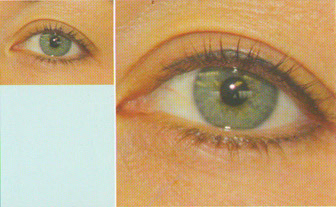 One the procedure is complete you can swim, play sports or lie in the sun without the worry of ever losing your brows. Choose between a soft textures look or hair simulation. 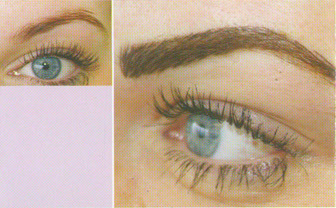 If you have no brow hair or sparse brows due to over-plucking , then the difference balanced brows can make is amazing. Make the most of your eyes with semi permanent make up. From subtle to dramatic, eyelash enhancement or eyeliner can dramatically define eyes, creating great looks that are long lasting and always perfect. For a truly subtle and beautiful cosmetic effect, semi permanent make up is an excellent way of enhancing the shape and colour of your lips. 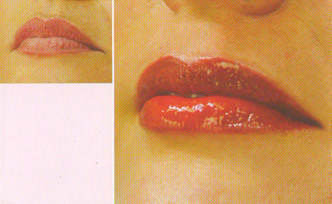 Your lips will look fuller and more shapely. This fabulous procedure can help reduce lipstick bleed, ensuring that you have perfect lips at all times. Full lip colour is also available in a subtle shade to crisp, correct or redefine lips . For a more striking effect, stronger colour can be applied. 1) How long will the make up last ? Although pigment molecules stay in the skin indefinitely, the colour remains visible 1-2 years. This varies depending on your age, skin type, colour choice and lifestyle. As with traditional tattooing, you are choosing to make a commitment to a semi permanent make up procedure. For optimum results you should expect to attend a colour boost session every 18 months. 2) Is the procedure painful? Everyone is difference but with advanced new equipment and techniques, discomfort is minimal. 3) Do I have a choice on placement and colour? Definitely! You are in control every step of the way from desired shape to colour selection. 4) How long it will take? You should allow a minimum of 1 ½ hours for a new procedure. take up to six weeks for the pigment to mature in the skin and the true colour to emerge. 6) What other procedures are available? Micropigmentation is used extensively in the medical industry for areola pigmentation, scar camouflage, scar and burns relaxation, and hair simulation tattooing , surgical scars such as face lift or arm/thigh lift scars, breast uplift/reconstruction scars, cleft lip.